The notion that the average Joe can’t afford to travel is quickly fading. The 21st century has washed up a wave that is essentially shrinking the globe. The world is at our fingertips as it never has been before. 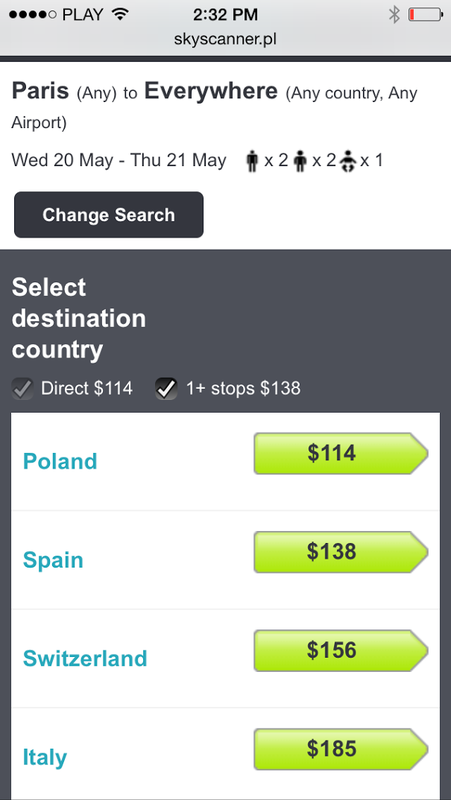 I mean, you can find a flight on Norwegian Air from New York to Copenhagen for less than $250! That’s amazing. If you still think you can’t afford to travel, let us show you how you can. Banking If you are regular international travelers, you probably want to set up an account with a good bank. We used to bank with Wells Fargo. No more! The rate they charge for a withdrawal at an ATM in Athens or Barcelona it’s straight up crazy. A good bank, like Charles Schwab or HSBC, will save you on all kinds of hidden international fees. Along the same lines, you might also consider using a credit card that helps rack up sky miles or hotel points. There are financial decisions you make way before you even leave for your vacation that will save you a lot in the long run. Also, don’t forget to sign up beforehand for frequent flyer mile programs, hotel points and the like. Use Public Transportation When we landed in Paris, we took a 60 Euro taxi ride to get to our apartment. On the way back we took a 9 Euro (that’s per adult so 18 all together) metro ride. Public transportation can save you a pretty penny. All major airports have information desks that can help you navigate the local public transport. Don’t be afraid to use it. If you’ll be in a large city for a couple of days make sure to look into short-term public transportation passes. You can often buy a 3-day or week-long pass that will save you some money. Book an Apartment If you haven’t used websites like airnbn.com (best for Europe) and vrbo.com (best for the United States) you are missing out. At these sites, Landlords and owners rent out properties, which are often a lot cheaper than staying in a hotel. Not only that but it’s usually a lot more comfortable. You can put your kids to bed in their own room and not have to tip-toe around in the dark for 2-hours. You can cook dinner in your own kitchen. You can experience life more like a local. And with our growing family it is becoming increasingly more difficult to find a hotel room to fit us all. We’ve stayed in rental flats in Paris, Prague, St. Petersburg, Copenhagen, and Kraków. It’s been a win every time. You should know before hand that it is not like staying in a hotel. There is usually a turn over limit where you have to stay for at least 2 or 3 nights to be eligible to rent the property. Also, there won’t be a reception desk so you have to coordinate with the owner and agree upon a time to check in and check out. There won’t be any concierge or tourist help, though, some property owners are better than others at showing you around. And make sure to check the amenities list for things like are important to you: like wi-fi, elevators, parking, air-conditioning etc. You can contact property owners before you get there to ask questions about the living conditions, travel options, or to make special arrangements (like baby cribs). We’ve also found it really helpful to read the reviews on a place before you book it. Go Outside Do you have any idea how much of a city you can see just by wandering the streets? A lot! Especially in good weather try to spend time outside. We love just meandering around to explore. It’s the best way to see a new place. We like to go in and out of shops (even if we don’t buy anything). We like to look at the architecture. We like to sit on a bench and people watch. Sometimes we just stop and let our kids play at a local playground. They love the slides and the swings just as much in Brussels as they do at home… maybe more. It’s also fun to get out of the city and explore nature. Visit national parks, go hiking, spend time at the beach. Get out and see some of the natural wonders of the world. Kids love to be outside. Heck, WE love to be outside too. Eat Cheap We will usually pick a night of a trip for a nice meal. Other than that we like to save money on food cost. 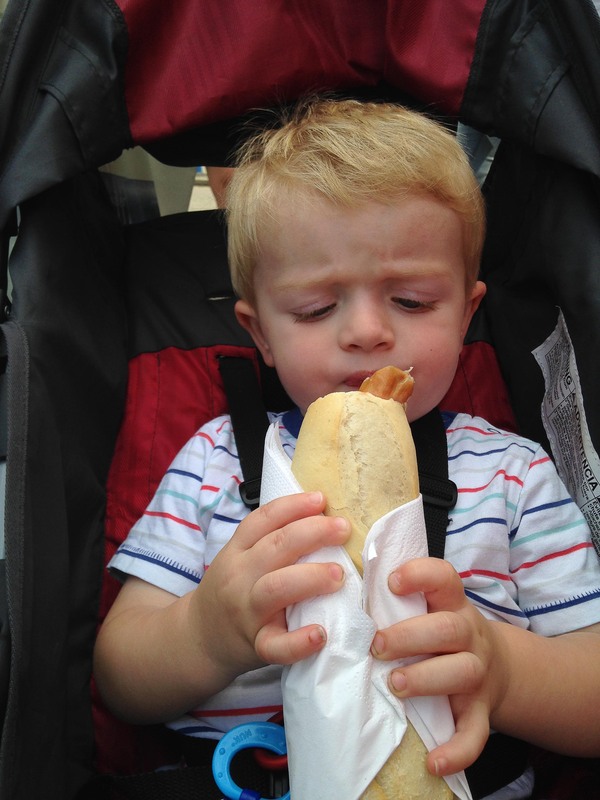 We try the street food and shop at the local markets. If you’ve rented a flat you can save money by packing homemade lunches and cooking in your kitchen… because you have one! Just be smart about the food you eat, especially when traveling in lesser developed counties. Travel in the Off Season We’ve found the spring and fall are the very best times to travel. Specifically, we love traveling in April, May, September, and October. These are called the swing months. It’s the time when the prices are as nice as the weather. It’s not too hot or too cold and crowds are low. This makes everything more affordable. And call us crazy but we also kind of love to travel in December. I always say that that if you haven’t seen Paris at Christmas, you haven’t really seen Paris. Summer is a popular time to travel so try to avoid it unless you are willing to pay for it. Fill Your Days with FREE Activities. On a trip to London, the changing of the guard, a stroll around Hyde park, a visit to Platform 9 3/4, and even the British Museum are all completely free! Along with a list of a hundred other things. Going to New York? Here is a list of some of the free fun in the Big Apple. Lots of museum and exhibits have a free days here and there. So, if there are places you know you want to see you can check if there are free or discounted times to enter. Research Before You Go Some quick research will show you things to do in just about any city without spending a dime. Also, lots of large tourist cities offer some kind of “City Pass” or “Hop-on-hop-off” tour. It usually includes some form of public transportation, discounts at restaurants, and free admission to certain museums and attractions. Some of them are better offers than others. Spend some time looking into it before you go to count costs and make good money decisions. In your research look for the words “family discount’ or “family pass”. Many places will offer price cuts to groups and families. As you strive to save money, try booking in advance, flying on budget airlines or flying into a different airport. Compare rates on sites like Skyskanner or Kayak Explore. Try packing light to avoid checked bag fees. Make some new friends and share a group rate. There are lots of ways save. Be creative and smart and you’ll find that traveling doesn’t have to cost half as much as you thought it did.